TempSure Envi® is an exceptional revolutionary laser technology that addresses an array of aesthetic concerns, including fine lines, wrinkles, and scarring. Aesthetic specialist Laural Schaberg, ARNP, works with her friendly medical staff at Pacific Northwest Primary Care to bring the latest and most effective in skin care treatments and cosmetic advances to the Tacoma, Washington, area. TempSure Envi can tighten your skin, zap away unwanted wrinkles, and rejuvenate your complexion. Call Pacific Northwest Primary Care or schedule online today. TempSure Envi is an innovative system that can be used to treat various cosmetic problems, including the reduction of wrinkles, scarring, fine lines, cellulite, and sagging skin. TempSure Envi also works well for brown spots and facial redness. TempSure Envi is a safe, effective, and precise laser technology that targets specific areas of your skin to address your cosmetic concerns. How does TempSure Envi work? Pacific Northwest Primary Care offers laser systems like TempSure Envi to deliver concentrated beams of light at irregular skin. The precise laser beams gently target and slough off the top layer of your skin and heats the underlying skin to prompt cell regeneration and the growth of new collagen fibers. Over time as the treated area heals, healthy new skin forms. Your new skin is tighter, smoother, and firmer. Multiple treatments might be necessary for the best results. The TempSure Envi system uses advanced radiofrequency energy to stimulate your skin’s natural healing process and reverse the signs of aging and sun damage to restore your youthful glow. What can I expect during my TempSure Envi treatment? TempSure Envi treatment involves a quick in-office session. Laural gives you protective eyewear and may numb your skin with a topical gel or anesthetic cream to ensure your comfort. Then, Laural carefully glides the TempSure device over your skin to deliver the radiofrequency energy. Once your treatment is complete, she applies a soothing cream and may give you other creams or products to soothe and calm your skin. You can leave the office whenever you’re ready. For a day or two, your skin might experience some redness and feel like a mild sunburn. You should notice healthy new skin cells after about a week. What are the benefits of TempSure Envi? Most treatments last between 15 minutes to an hour. TempSure Envi’s uniquely designed handpieces enable Laural to customize treatment for your skin care goals. Learn more about TempSure Envi and how it can benefit your skin. 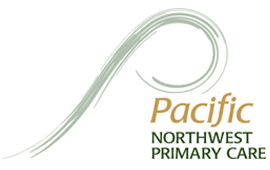 Call Pacific Northwest Primary Care or schedule online today.